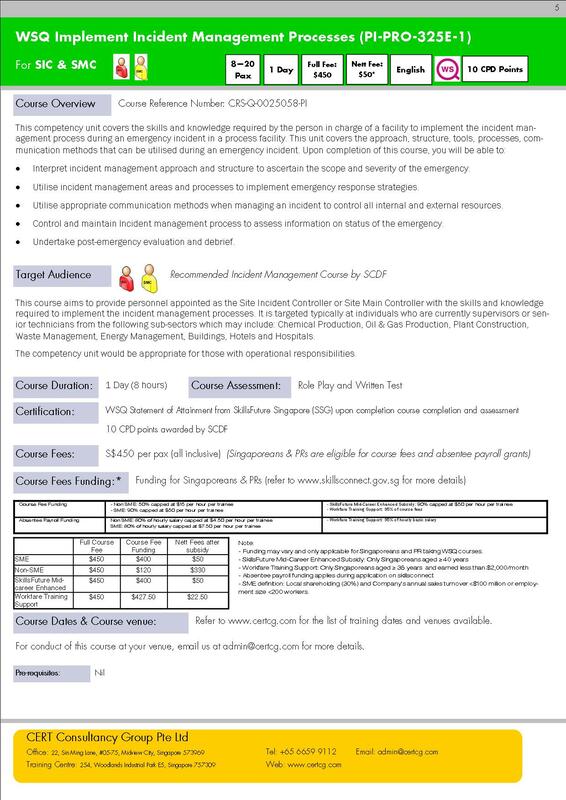 This competency unit covers the skills and knowledge required to plan, develop and validate Contingency Plan and Emergency Response Plan through the conduct of exercises and drills. This includes understanding the various types of emergency response and drill available, their most appropriate use, the ability to plan an emergency response exercise and drill of various complexity and scale, the ability to conduct and evaluate an emergency exercise or drill and to present findings and recommendations and to gain knowledge of the overall exercise process cycle. Individuals who are currently supervisors or senior technicians from the following organisations who are taking on the role of incident management as the Site Incident Controller or Site Main Controller in the CERT. - Identify the various types of emergency response exercises or drills. - Plan an emergency response exercise or drill. - Conduct an emergency response exercise or drill. - Evaluate an emergency response exercise or drill to identify good practices and gaps. 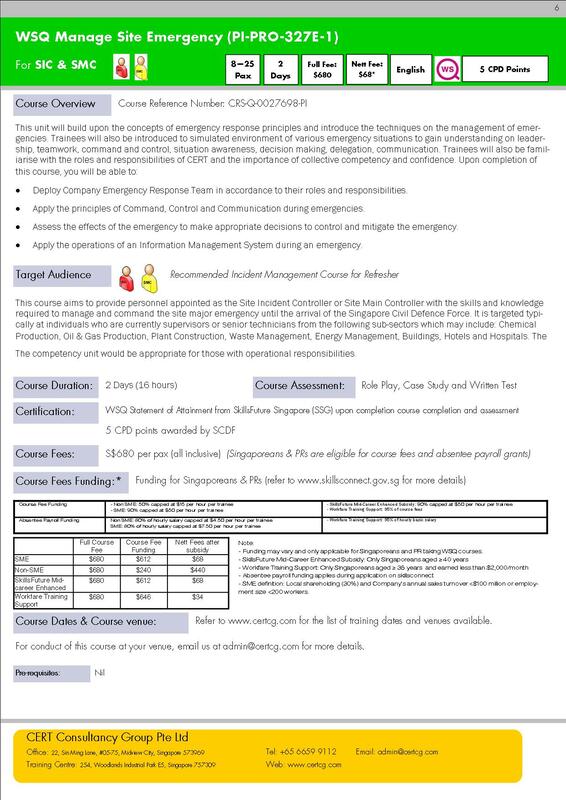 - Communicate emergency response exercise or drill findings and recommendations. A Statement of Attainment (SOA) from WDA will be awarded upon the course completion.